ERL Linen Care use only the best quality, eco friendly products in their processing, which are tailor made to their own exclusive specifications. 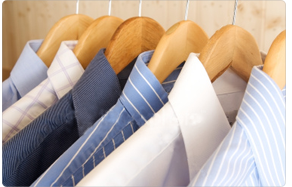 These products provide outstanding cleaning results and are able to increase the longevity of most fabrics. ERL also provide customers with a high quality ironing or hand folding finish and they put in place quality control checks throughout their entire processing system. ERL use top quality products throughout all stages of their processing systems which always provide outstanding cleaning results and they offer a free delivery and collection service. ERL Always at your service when it comes to cleaning.